Popular remote access service LogMeIn has released an updated App Store app that gives iOS device users basic remote access to a Mac or PC. Instead of the previous $30/month free, customers can have remote access from iOS for free. Version 3.0 of LogMeIn for iOS gives you basic access to files on your Mac or PC, but you need to have the desktop client installed on your computer first. You can control your computer as if you were sitting in front of it, edit files, run applications, and troubleshoot problems from your iOS device. LogMeIn offers an in-app upgrade to access the app’s Pro features, including media streaming, remote printing, and file transfers between computers. If you’re already coughed up the subscription fee, then you automatically get the app’s new features. 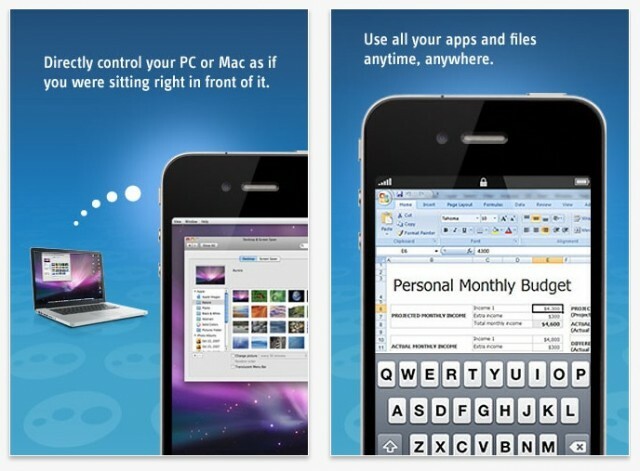 Grab the universal LogMeIn app for iPhone and iPad in the App Store.